As nature came to be modeled as machine during the period of the Scientific Revolution, a new spirit of began to arise in which nature was not seen as having intrinsic value, but only value as an object of human use — and as an object of technological control. Like René Descartes’ search for a universal science, Francis Bacon (1561–1626) spoke of a novum organum, a “new instrument” of human inquiry that will satisfy humanity’s imperial ambitions over the natural world. This new method, he wrote, will apply “not only to natural but to all sciences” and will “embrace everything.” The new method of inquiry will allow for universal, objectivized knowledge. It is like an instrument, “a new machine for the mind,” that will infallibly guide humanity to understand the world as it really is. 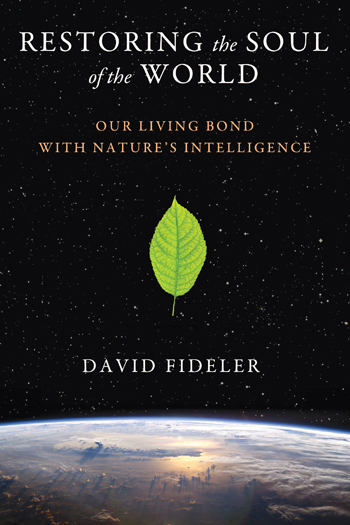 In this process of coming to know reality, Bacon assures us that the mind will not be “left to take its own course, but be guided at every step and the business be done as if by machinery.” In this way, humanity will gain infallible knowledge and total mastery over nature. 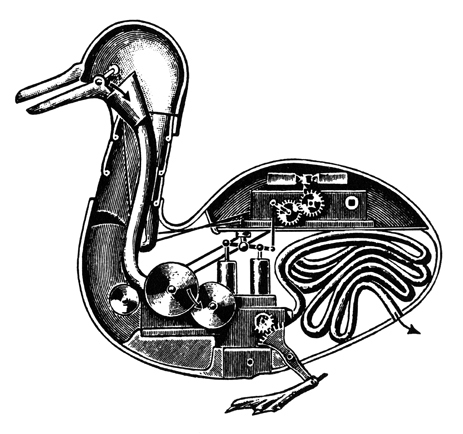 An automaton of a duck, inspired by the mechanical philosophy, created by Jacques de Vaucanson in 1739. René Descartes had written, “I have described this earth, and indeed this whole visible world, as a machine,” and under the spell of the mechanistic philosophy, even animals and the human body came to be pictured as machines rather than living organisms.